September 30th, 2017 marks the success in commissioning the Φ89mm mandrel pipe mill of Fengbao Pipe Industry at one go in Linzhou, Henan, China. The mandrel pipe mill, supplied by CISDI, is a conventional 6-high three-roll mandrel pipe mill with the smallest pipe diameter in the world. 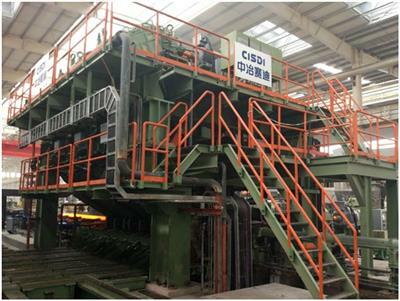 It’s also the first fully-homemade mandrel pipe mill of lateral roll changing design in China. All the process, mechanical, hydraulic, electrical systems in the core sections (from the pipe mill to the cooling bed) of the mill line were engineered, manufactured and commissioned by CISDI on its own. 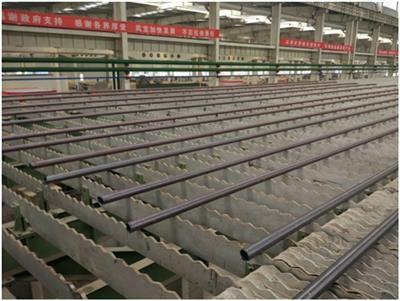 High in production efficiency and automation level as well, the mandrel pipe mill line is designed to stably produce 200,000tpa seamless steel pipes of Φ32mm~Φ89mm in outer diameter, 3mm~12mm in wall thickness with premium quality, highly competitive in the market.